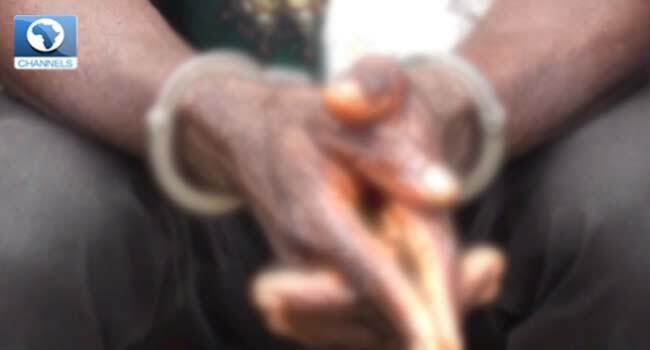 The Ogun State Police Command has arrested a 47-year-old man for allegedly impregnating his own daughter. Police Public Relations Officer in the state, Abimbola Oyeyemi, paraded the suspect on Tuesday at the Command Headquarters in Abeokuta, the state capital. He told reporters that the suspect was arrested following a complaint by the victim against her father at the Police Division in Sagamu area of the state. He said the victim accused her biological father of having an illicit affair with her since the death of her mother in 2009 and threatened her with cultural implications whenever she refused. “The man was arrested following a complaint by his daughter who reported at Shagamu Police Division that her father has been having a carnal knowledge with her for the past eight years after the death of her mother in 2009, consequent upon which she got pregnant for him and gave birth to a baby girl three years ago,” Oyeyemi said. The Police Public Relations Officer revealed that the suspect also confessed to committing the crime and begged for forgiveness, saying his action was the handiwork of the devil. “He confessed that he was trying to prevent the girl from getting married so as to continue having his way with her,” he added. The Command spokesman said the Commissioner of Police in Ogun, Mr Ahmed Iliyasu, consequently directed that the suspect be transferred to the Anti-Human Trafficking and Child Labour Unit of the State Criminal Investigation and Intelligence Department for further investigation and prosecution.